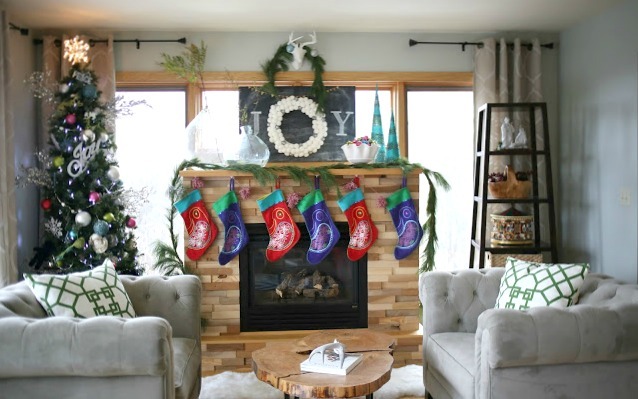 The Divine Living Space Blog: It's the Most Wonderful Time of the Year! I did it! I totally caved and decorated BEFORE Thanksgiving! I feel like I broke my own rule.. I just couldn't help it. There is nothing more that gets you in the Christmas Spirit than a sparkly tree and the smell of pine filling your room. Besides, the season is so short and I love being able to enjoy this space to the fullest before it all goes back in storage for another year. Of course, the true meaning of Christmas is not all about the decor. It's about celebrating the birth of Jesus, making memories, and spending quality time with family. 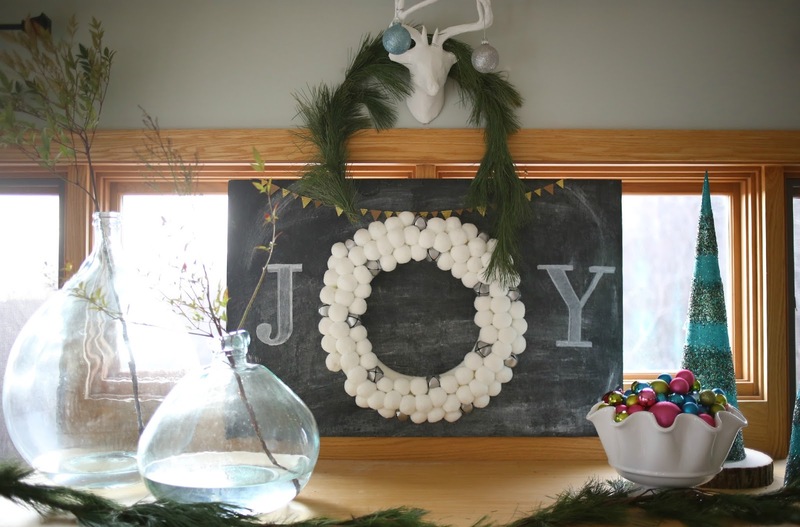 I enjoy entertaining, especially this time of the year, so naturally I want my home to feel welcoming and inviting. 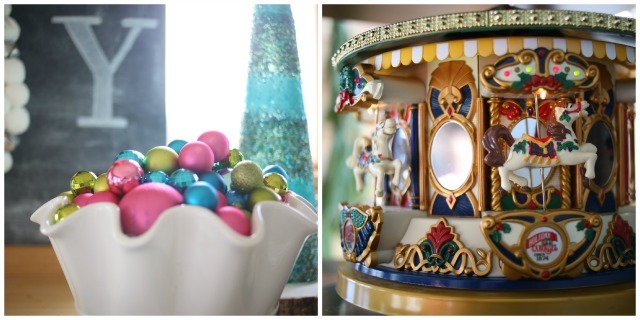 This carousel is a tradition in our home. It was gifted to our oldest over sixteen years ago, and it still works beautifully. When turned on, it rotates through four different Christmas songs while the horses go round and round just like a real carousel! This chalk sign was a easy DIY. I used the pom pom wreath I got on last years Target's after Christmas sale, and a chalk pen to draw the letters. My decor is anything but traditional, but it fits our bright and cheery home perfectly. 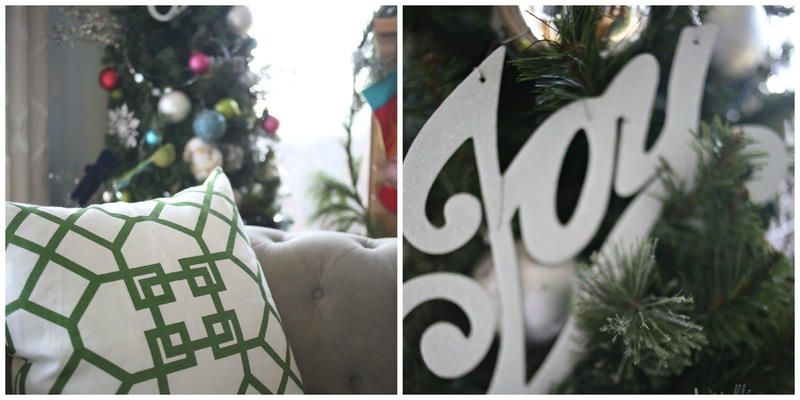 What about you.. Have you decorated yet, or do you wait until after Thanksgiving? I'd love to see your festive space!